Sometimes when you cook a delicious Easter ham, you'll be lucky to have a ham bone left over. 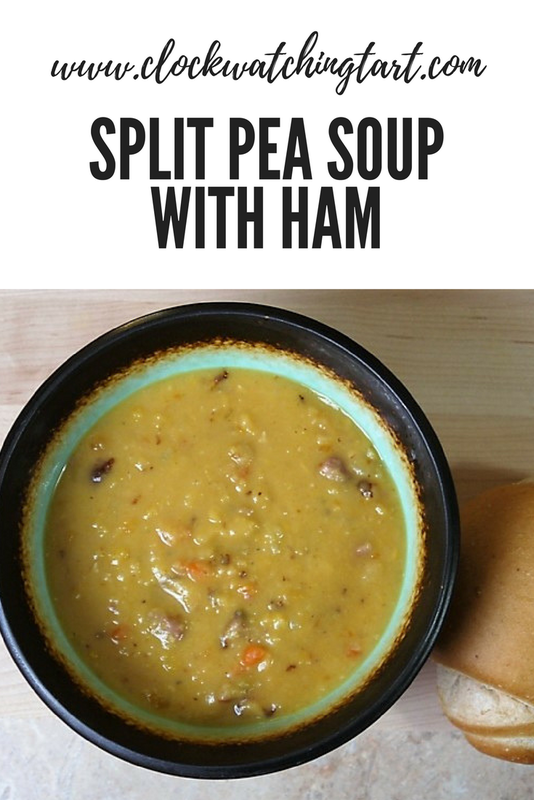 That's the perfect excuse to make split pea soup with ham! It doesn't look terribly pretty, but it tastes delicious! Split peas come in yellow or green. 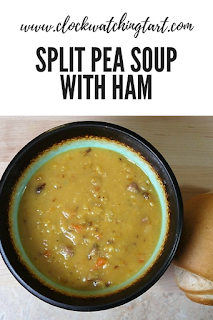 I used yellow peas for this recipe, like traditional Quebecois split pea soup. Like so many great soups, this one starts with sauteed carrots, celery and onions. You can puree the soup later to make it smooth, but I like to keep the texture of the vegetables. Add the dried split peas, the ham bone, diced ham and water to the veggies and simmer for an hour. That's it! Easy, warm and delicious. In a large dutch oven, saute carrots, onions and celery in oil or butter until soft. Add split peas, ham bone, ham and water. Add bay leaf. Bring to a boil, reduce heat and simmer for an hour until peas are soft and broken up. Add more water if soup is too thick. Season with salt and pepper to taste. Serve with fresh bread and a salad for a hearty lunch or dinner.